How easy it is to “know” something, to know something so well that you grew up knowing that that is the way it is. But what happens when popular thought turns out not to be so cut and dried, when other alternatives are more appropriate in a different situation? Myrica pensylvanica, Northern bayberry or wax berry (hence the waxy-grey coating). And listen to the tale of bayberries, used by European medieval and Renaissance cooks, brewers, and physicians for their flavor and mild antiseptic qualities. Now for the Million Dollar Question: what’s with this name? Take, for instance, the following recipe by William Harrison in his 1577 Description of Elizabethan England. It mentions both “arras” and “bayberries” as botanical ingredients. [much detail on the different steps of (partigyle) mashing…] Finally, when she setteth her drink together, she addeth to her brackwoort or charwoort half an ounce of arras, and half a quarter of an ounce of bayberries, finely powdered, and then, putting the same into her woort, with a handful of wheat flour, she proceedeth in such usual order as common brewing requireth. Some, instead of arras and bays, add so much long pepper only, but, in her opinion and my liking, it is not so good as the first, and hereof we make three hogsheads of good beer. Neither ingredient is normally found in a modern kitchen, so more research is prudent. Other Google hits confirmed this possibility, but also that not even academics know its identification for sure. As the characteristics of orris root (Iris sp.) fit within the function in this recipe − the roots contain myristic acid (Grieve) making the powder mildly antiseptic and thus promote the durability of the concentrated malt syrup (called brackwoort or charwoort) − orris root is a plausible answer. A similar post in this forum asking about the definition of the second mystery, bayberries, found a different response. To my surprise, bayberry turns out to be a common shrub in the United States, and to my even larger surprise, it is part of the Myrica family. I should explain: I recently finished a Compleat Anachronist on the Low Country herbal ale called gruit, which includes both Myrica gale and the berries of the Laurel nobilis, or the berries of the bay, called in Dutch and German bakelaar. The forum discussion suggested that all bayberries like wax berries are shrubs of the genus Myrica, and thus in the case of European sources, the European Myrica, which is Myrica gale, also known as sweet gale and bog myrtle. When I questioned this interpretation because of inconsistencies with contemporary sources, no one in the forum was able to provide further help. It was only because I had just spent a year researching the historic European side of a similar story that my curiosity was piqued. So, if nothing else, let my ‘obsession’ be a point of learning for you! In the rest of this story, I will walk you step by step through my thought process, which led me to the appropriate answer. Myrica gale, sweet gale catkins. Question one: What are the medieval descriptors for the term in question? Step one: Check the literature. For instance, Google Books, and especially Early English Books (EEBO) online. At first, I thought mirtle to mean bog myrtle fruit, although I was confused as to why those would be called berries (they are more akin to seeds or cones). Then I realized another mirtle was meant, the Myrtus from the Bible, with berries quite similar to those of the laurel. Conclusion one: This rough check of easily available literature indicates that United Kingdom bayberries are associated with bay (leaves), can be husked before they are dried, contain a fatty liquid, and are listed next to myrtle berries, indicating a probable visual similarity. Bog myrtle fruits (Myrica gale) are technically not a berry, they are catkins of ingrown flower petals and seed, and cannot be husked. They come pretty much dried right off the bush, do not contain a waxy nor a fatty substance, and have no visual similarity to myrtle berries. On the other hand, the berries of the Laurel fit all these descriptors. An observation: while the shrub is called bayberry (singular) and many of the herbal ingredients are listed as singular botanicals, bayberries are invariably listed as plural. Linguistically, this suggests it is not a generic term (the bayberry), but indicates a specific part of the plant (the berries of the bay; bay berries). The spelling also varies, from bayberries to bay-berries and bay berries. Interestingly, when this information was shared with the medieval cooking forum many of the participants were not convinced. The information was found interesting, but bayberry is bayberry, and while I thought the contemporary information was quite convincing, it did not change their opinion. It was time to dig even deeper. Step two: Check a dictionary. When researching English language words, the Medieval English Dictionary or MED, hosted by the University of Michigan, has proven very useful. laurel (n.) Also lauriel, -ial(le, -eal(le, -iol(e, -eol(e, -al, (error) raureol & lorel(le, -iel, -ialle, -il, louerele & larielle, -iol & (?errors) lerel, lerwel. bai(e (n.) Also (error) boi-. 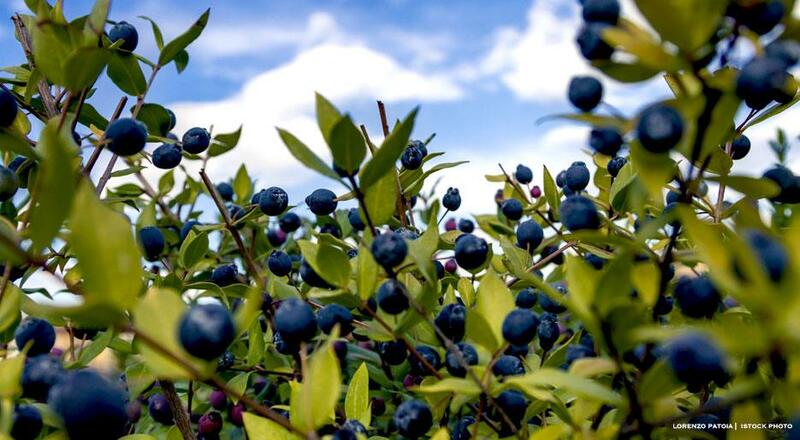 The berry-like fruit of various plants, trees, or shrubs (including the laurel, olive, rose, nightshade). (a) Specif., the fruit of the laurel tree (Laurus nobilis); ~ berie; (b) the laurel tree; ~ tre; ~ leves, laurel leaves; (c) oil de bai(es [see quot. : a1500]; (d) pouder of baies. Step three: Check the etymology of the word. Etymology Online is a good place to start, and if you have access, the Oxford English Dictionary is even better. “fruit of the bay tree,” 1570s, from bay (n.4) + berry. In Jamaica, the name given to a type of myrtle (Pimenta acris), 1680s, from which bay-rum (1832) is made. laurel shrub (Laurus nobilis, source of the bay-leaf), late 14c., but meaning originally only the berry, from Old French baie (12c.) “berry, seed,” from Latin baca, bacca “berry, fruit of a tree or shrub, nut” (source also of Spanish baya, Old Spanish bacca, Italian bacca “a berry”), a word of uncertain origin. Extension of the word to the shrub itself is from 1520s. The leaves or sprigs were woven as wreaths for conquerors or poets, hence “honorary crown or garland bestowed as a prize for victory or excellence” (1560s). Bay-leaf is from 1630s. Bay-berry (1570s) was coined after the sense of the original word had shifted to the tree. 1.1 The fruit of the bay-tree. 1578 Lyte Dodoens 688 Called in Latine Lauri baccæ, in English Bay berries. 1747 Gentl. Mag. XVII. 409 Take of aniseed‥bay-berries, myrrh‥of each half an ounce. 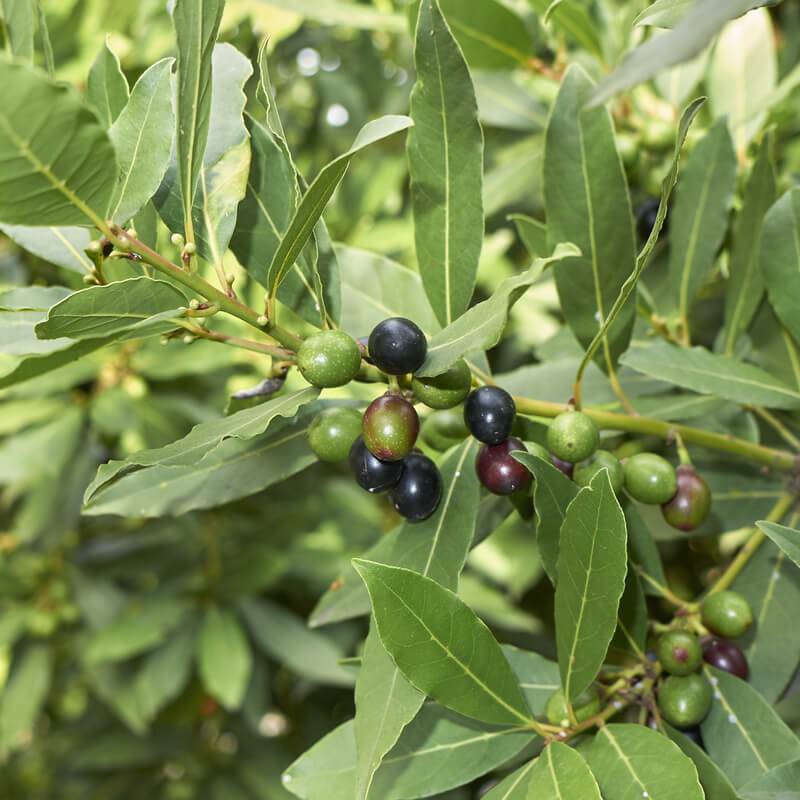 2.2 In U.S., the fruit of the Wax-myrtle (Myrica cerifera), and the plant itself, an American shrub that bears a berry covered with a wax-like coating. 1687 in Manchester (Mass.) Rec. 32 The sd. tree being near Vincsons baiberry medow. 1769 Massachusetts Gaz. 21 Dec., Advt. (Th. ), Bayberry-wax candles. 1792 J. Belknap New Hampsh. III. 123 The bay berry (myrica cerifera), the leaves of which yield an agreeable perfume, and the fruit a delicate green wax, which is made into candles. 1860 Bartlett Dict. Amer. s.v., The berries when boiled in water yield a fragrant green wax, known as bayberry tallow, used for making candles, etc. 1878 R. Thompson Gard. Assist. (Moore) 657/1 Myrica cerifera, candleberry, bay-berry, or wax-myrtle.—Very near the sweet-gale. 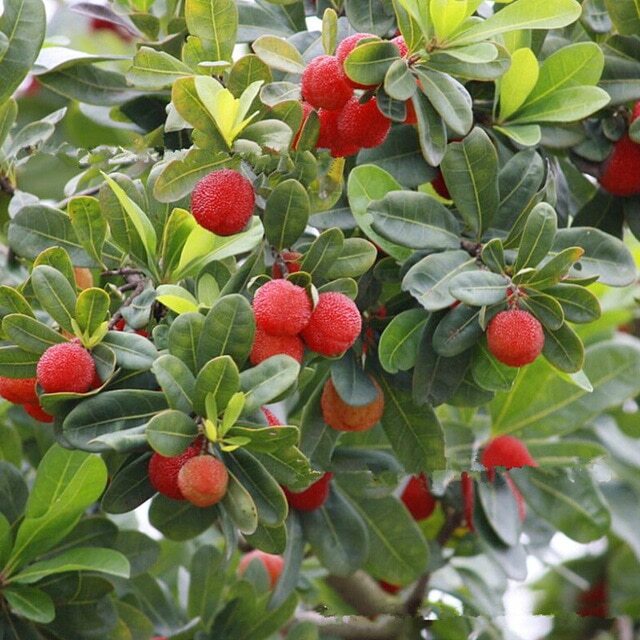 3.3 In Jamaica, the fruit of the ‘Bayberry Tree,’ Eugenia acris, a species of Pimento. 1756 P. Browne Jamaica 247 The Bayberry Tree‥The berries resemble our cloves, both in form and flavour. Conclusion three: Both etymological dictionaries link the word bayberry to laurel berries (Laurus nobilis) first, followed by the Jamaican bayberry tree (Eugenia acris). The OED indicates a separation of definition by giving a US-specific definition for the fruit of the Wax-myrtle (Myrica cerifera), bringing us back to the Myrica family. And while it indicates the bayberry is “very near the sweet gale,” it does not list it as identical. This connection to Myrica gives rise to my second question. Question two: What is this connection between bayberry and sweet gale? Myrica /mɪˈraɪkə/ is a genus of about 35–50 species of small trees and shrubs in the family Myricaceae, order Fagales. The genus has a wide distribution, including Africa, Asia, Europe, North America and South America, and missing only from Australia. Some botanists split the genus into two genera on the basis of the catkin and fruit structure, restricting Myrica to a few species, and treating the others in Morella. 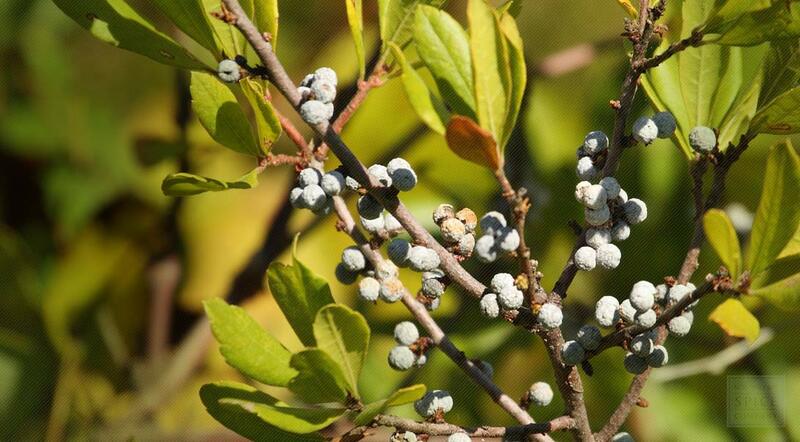 Common names include bayberry, bay-rum tree, candleberry, sweet gale, and wax-myrtle. At first glance, this seems to indicate a connection between bayberry and sweet gale (Myrica gale). But when the specific Wikipedia page for Myrica gale (Wiki/Myrica_gale) was checked, no such connection was found. Something that caught my eye was that most, if not all, of the Myrica species with bayberry as a common name are native to the US. And I wondered, maybe those botanists listed in the Wiki/Myrica page are not that far off, splitting the genus on basis of the catkin (a.i. Myrica gale) and fruit (a.i. Myrica cerifera and M. pensylvanica); it seems the name bayberry is not only connected to the US natives but also to the species bearing fruit. In Europe, the only Myrica used in brewing is Myrica gale or sweet gale, which has catkins. To check American plants, I find the USDA Natural Resources Conservation Service to be helpful. This database also divides the family Myricacea, the family of bayberries, into Morella and Myrica. It only lists two Myricas, Myrica hartwegii as Sierra bayberry (US) and Myrica gale (US & EU) as sweet gale, with no bayberry variants. This matches the Wiki/Myrica_gale information, which lists sweet gale as the US term and bog myrtle as the UK term for Myrica gale, with no bayberry variants. Conclusion two: In modern US English, bayberry indicates several species of the bayberry family Myricacea native to the US. US bayberries mostly bear fruit, not catkins. While Myrica gale is part of the bayberry family, even in the US, the term bayberry does not apply to Myrica gale. Only Myrica gale was used in European brewing. 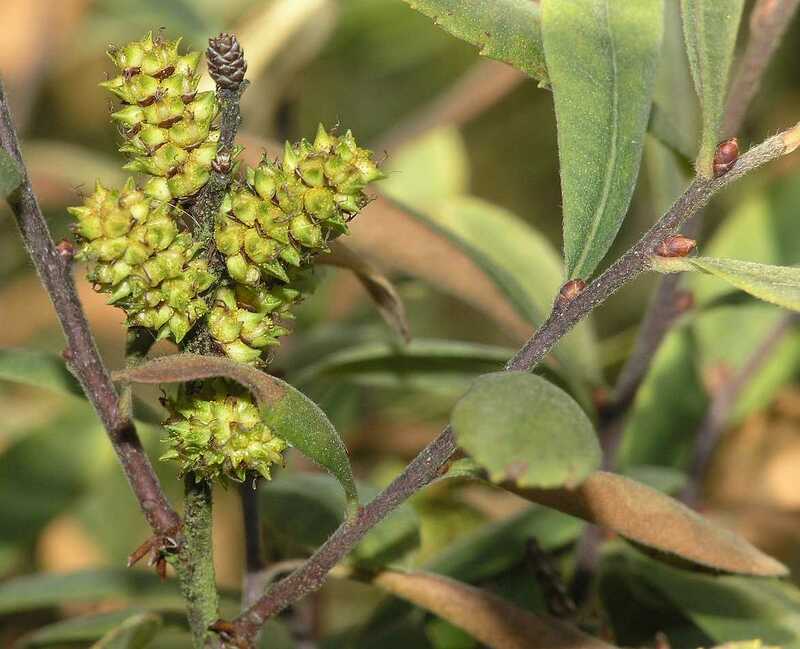 Myrica gale is called sweet gale in the US and bog myrtle in the UK, and many other names in other countries. In languages such as Dutch and German, there is no confusion in terminology. For instance, in Dutch, gagel is bog myrtle, and bakelaar (historic; from baccae lauri) and laurierbessen (modern) are the berries of the laurel. Question three: Would bayberry therefore mean something else in modern US than it would in medieval UK? The information points to a double meaning for the word bayberry. In modern US, the term bayberry indicates several species of Myrica (or Morella) shrubs. In medieval UK, the term bayberries points to the berries of the bay laurel tree. Another way to check this theory would be to look at the same term (bayberry), in the same era (16th c) used in the same context (the brewing of beer) but in a different language. From my research into medieval gruit ale, I had already come across both ingredients bog myrtle and laurel berries and found that within the Dutch and German sources these ingredients would be indicated with non-matching terms. Variants for Bog myrtle in Latin, Dutch and German include: custum, costus, Herba Myrti Rabanitini, Gale palustris, gagel, gaghel, Myrtus Brabantica, Brabantsche mirt, myrtenheide (myrtle heather), mirtedoorn, post, possem. Variants for Laurel berries in Latin, French, Dutch and German include: Bacca laureus, baca lauri, Lauri baccæ, bakeleers, baekelaers, bakelaar, Beckeler, laurus, laurusboom, lauwerbessie, bayes de Laurier, graines de Laurier, laurier, Lorbeerbaum, Lorbeeren. Conclusion: In Dutch and German medieval brewing, both ingredients, bog myrtle and laurel berries, were used side by side; they were both found to have preservative properties in the brewing of beer. It thus makes sense from a technical point of view that the UK word bayberries, used in the same time and in the same context, also is appropriate as the berries of the bay laurel. The final step: Check the contemporary herbals. Bald’s Leechbook, also known as Medicinale Anglicum, is an old English medical text written in Latin and probably compiled in the ninth century. There are various manuscripts of the original text, using various terms and spellings for the different ingredients. The berries of the bay laurel tree are mentioned several times, both as ‘laures croppan,’ which in Old English could mean either the fruit, or a bunch or cluster (of leaves), and as ‘baccas lauri‘ (as well as baccae lauri, baccarum lauri). The latter term means ‘berries [of the] laurel’ and is the genesis of the middle Dutch and German term bakelaar, and the English bay berries. The bay is called … in Latine, Laurus; in high Douche (High German) lorbeerbaum: in base Almaigne (Low German, Dutch), Laurus boom: in Englishe, Bay or Laurel tree. The fruit is called in Latine, Lauri baccae; in English, Bay beries; in French Bayes or Graines de Laurier: in high Douche, Lorbeeren: in base Almaigne Bakeleers. This is also found verbatim in John Gerard’s The herball or Generall historie of plantes, 1597. Conclusion: In 16th century England, the term bayberries indicated the fruit of the bay laurel. In modern US context, the term bayberry means several species of the Myricacaea family, including Myrica cerifera and Myrica pensylvanica. In medieval UK context, the term bayberries meant the berries of the bay laurel (Laurus nobilis). It is my suspicion, and the dates of the etymology of the term seem to support this, that European immigrants to America brought the term bayberries with them. With the absence of local laurel berries the term transferred to the next best thing, a native aromatic shrub with berries visually similar and of similar household qualities. A side note: the juice of the Chinese Myrica rubra is fermented into alcoholic beverages, among other uses. It is not clear to me if, apart from Myrica gale, any of the other Myrica’s are or have been used in brewing beer. So… what should we take from all this? I think it is good to be reminded that language is fluid, it changes with the times, and words and definitions change with it. It was only because of my previous research and my European background that I questioned the definition of this term. While bog myrtle and laurel berries are used for similar preservative properties in brewing, they both have unique flavors which could change the outcome of the final brew. In our efforts to emulate pre-1600 recipes it would be a shame if our modern assumptions got in the way of our experimental cooking & brewing! Thank you, Baroness Katja Davidova Orlova Khazarina, for double-checking my findings, and finding even more sources. Cockx-Indestege, Elly, ed. Eenen nyeuwen coock boeck. Kookboek samengesteld door Gheeraert Vorselman en gedrukt te Antwerpen in 1560. Wiesbaden: Guido Pressler, 1971. To read more of Elska’s writings, see her blog here.